How to Reduce Risk with Contract Management in 2017? "How to Reduce Risk with Contract Management in 2017?" In this fast-moving and highly competitive global marketplace, proper commercial contractual risk management is necessary for success. 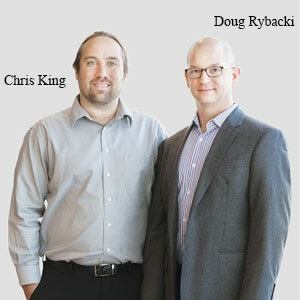 Ongoing successful company revenues, profits, and reputations can be wiped out quickly by ignoring or not discovering contractual risk threats. Conversely, if an entity is protected from contractual risks and threats, it can effectively concentrate and focus on its business without distraction. 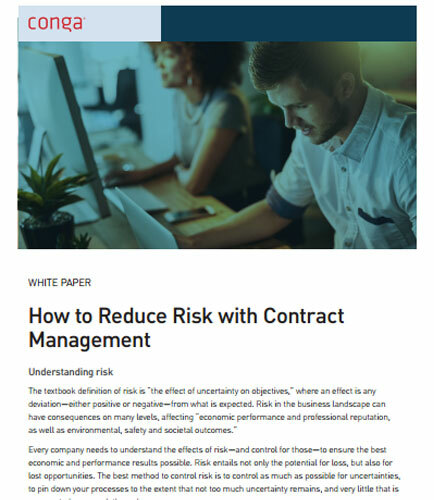 This Conract Management whitepaper describes where the weak points in the contract lifecycle appear, and where risk is most likely to be introduced into the process to establish bulletproof contract management procedures. Today, efficiency is a necessity for implementing and main¬taining a foolproof Enterprise Contract Management (ECM) system–and doing so can re¬sult in substantial revenues and cost savings, while minimiz¬ing business risk. Businesses are looking to leverage smarter technologies in their contract management system to make it possible for teams to handle ever-expanding demands. With execu-tive teams typically hesitant to commit additional resources to contract management functions, CIOs need a cost-effective system that can allow lean teams to design the patterns of contract behaviors for repeated use without getting hands-on and knee -deep in every contract.